Every so often we buy a side of beef from a friend who regularly raises cattle to keep the grass in his pastures down. The first time we did this, the cow in question was a rather energetic and troublesome character, one of a duo named Mary-Kate and Ashley (I’m not sure which one we got). The last two have not had names, as far as I know. 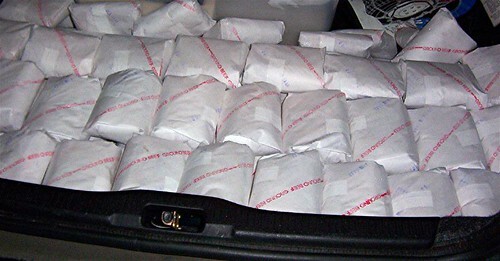 The meat gets processed at a local butcher shop, packaged, labeled and hard frozen, so we can pick it up, toss it in the trunk and take it home to our chest freezer. It’s a great feeling to have a freezer-full of local, pasture-raised beef – we just have to think ahead a bit to make sure it’s defrosted in time for dinner.